Darke County Center for the Arts has announced its sparkling schedule for the 2018-19 program year, their Ruby Season celebrating the organization’s 40th anniversary. Last week’s column revealed the glittering lineup for DCCA’s Artist Series and Coffeehouse Series, but the programming for youngsters is every bit as brilliant as that aimed primarily at adults. First among DCCA’s upcoming treasures, the annual residency by Missoula Children’s Theatre invites students entering grades one through 12 to participate in a fully-realized musical theatre production where each participant has an opportunity to shine. Auditions for MCT’s “Snow White and the Seven Dwarfs” are scheduled for Monday, July 30 from 10 a.m. until noon; rehearsals begin immediately after and continue throughout the entire intensive week, culminating in two gleaming performances starring local students on Saturday, Aug. 4. Kids not only experience hands-on involvement with the arts, but also learn social skills that will serve throughout a lifetime. Participation in this multi-faceted adventure is free; tickets for either the afternoon or evening performance cost $5 each. DCCA’s Family Theatre Series, a gem that for the past 20 years has thrilled and entertained generations of youngsters and their families, opens on Sunday, Nov. 18 with “Playing By Air,” a unique mixture of music, comedy, choreographed juggling and circus that will leave audiences gasping with awe and laughter. Mermaid Theatre of Nova Scotia’s “Rainbow Fish” will bring Marcus Pfister’s sparkling story to life on Sunday, Feb. 10; the beloved tale of the beautiful fish whose scales shimmer with all the colors of the rainbow will entrance even the very young with its enchanting puppetry while also delighting adults with its breathtaking creativity. Tutti-Frutti Productions’ “Underneath A Magical Moon” will close the FTS season on Sunday, April 7; this re-imagining of “Peter Pan” as told by Wendy Darling invites audiences to fly into a fantastical world of adventure featuring exquisite music, enthralling moments, and a sprinkle of magic. These delightful shows can be enjoyed for the minimal investment of $5 each, or – an even bigger bargain – you can purchase the entire series for $12! All of these productions take place in glorious Henry St. Clair Memorial Hall, adding to the culturally enriching impact of the theatre-going experience. A hidden jewel within the organization’s presentations, DCCA’s Arts In Education series, presents high-quality artists who perform for students in each grade of all local public schools at no cost to the students; although these shows are free and open to the public, outside awareness of the existence of this valuable program is less than sparkling. Next year’s shows provide an amazing array of enriching and entertaining enlightenment. Pianist extraordinaire Alpin Hong will once again bring his dazzling talents to our community, performing for junior high students at Henry St. Clair Memorial Hall on Sept. 20 and 21. Alpin incorporates his eclectic background in skateboarding, snowboarding, martial arts, and video games as well as his passion for music into his educational presentations, leaving an impact beyond that produced by his brilliant musicianship. From Oct. 29 through Nov. 2, children in kindergarten through third grade will experience a fun, interactive presentation unveiling the history and culture of India; “Kathakaar – The Spinning Storyteller” features dancer/storyteller Jin Won communicating the lore of Indian myths and ancient folk tales through dance and music. Singer/songwriter Jonathan Kingham will return to area high schools Nov. 12 through Nov. 15 with his friend and co-conspirator Ryan Shea Smith to present another round of freestyle song-writing workshops like those that wowed local students and educators a few years ago. Troubadour Lee Murdock will share music and stories of the Great Lakes with fourth through sixth graders March 4 through 8; Lee’s songs about hard work, hard living, ships that go down and ships that come in combine his flair for storytelling with his musical virtuosity to mesmerize and educate audiences of all ages. Many wonders await in DCCA’s 40th anniversary season, but the glittering array of performances aimed at children and their families is truly something to celebrate. For more information, contact DCCA at 937-547-0908, dcca@centerforarts.net, or visit them online at www.centerforarts.org, or at their office located within Greenville Public Library. 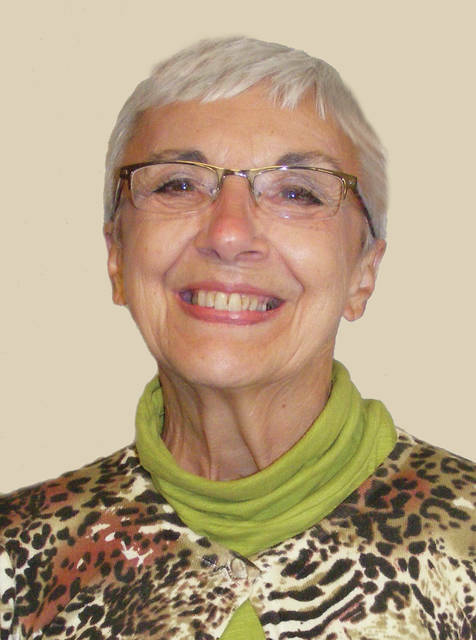 Marilyn Delk is a director of the Darke County Center for the Arts and can be reached at marilynd@bright.net. Viewpoints expressed in the article are the work of the author. The Daily Advocate does not endorse these viewpoints or the independent activities of the author.